At C41 Photography we know that quality photographs matter when showcasing your properties. Statistics say that 97% of people search for property online. Professional photos are a great marketing tool and worth the cost to help your property stand above the rest. The correct time of day and use of lighting to enhance the property. Create engaging photographs that will lead people to look further. Include as many photos as possible to showcase every feature of the property. Pay attention to details and staging to ensure the best use of resources. Using the correct lenses so walls and lines are not distorted in photos. Ability to capture drone photos and videos to showcase an aerial perspective to your property and it’s surrounding areas. Particularly good for more upscale and expensive properties. 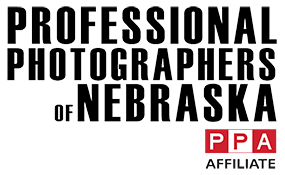 We are the preferred architectural photography studio for many companies both local and across the country and would love to work with you to make your exterior, interior, and building projects shine. Flat rate per hour pricing that includes: all full resolution digital files including the copyright release. All jobs are delivered within 36 hours through a shared file download link. Each project is archived for future requests if misplaced. Images are enhanced and ready for use. No additional artistry is needed. Give us a call to discuss your project or to receive an estimate. We value your time and resources and would love to create professional images for your property to make it stand out in an increasingly competitive marketplace.